Katarina Line is a small-ship cruise company based in Croatia that is reaching out to U.S. travel agents to increase business here. The company’s fleet offers weekly departures from Opatija, Split and Dubrovnik from mid-April to mid-October. Vacation Agent caught up with Daniel Hauptfeld, marketing director for Katarina Line, to discuss the company’s cruise programs and the ways in which it is targeting agents. What type of cruises does Katarina Line offer? Katarina Line small-ship cruises are a unique way to explore the amazing Croatian coastline, which boasts more than 1,000 islands. Cruises start from three different ports – Opatija, Split and Dubrovnik – and are offered on a weekly basis from mid-April to mid-October on four styles of vessels, ranging from basic to our new deluxe ships. There are traditional programs focusing on relaxing during the day and visiting islands in the afternoon to explore and overnight in, and then there are special-interest programs for active cruises that include hiking, biking, yoga, etc., as well as niche markets such as nudist, gay, gourmet and others. These cruises are often very unique and affordable. There are many packages that connect land-based trips with the cruises for a 10-day vacation covering Croatia on land and sea. Why is Katarina Line reaching out to North American agents? In short, because we finally have products for the North American market, including guaranteed departures on our deluxe cruises and on various land tours around Croatia. When we started 24 years ago, we only had our basic traditional wooden ships. A few years later we rebuilt some of those ships into our A-category ships and added showers and bathrooms to every cabin, plus air-conditioning in the saloon area. The more adventurous clients from North America have sailed on our ships, but we discovered that American travelers, especially, want the more deluxe products, so about 10 years ago we started building our A+ category ships. 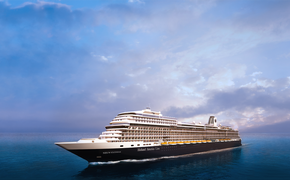 These are ships with steel-hulls that are fully air-conditioned with large cabins, large decks and impressive saloons. We felt that, finally, we had a product for the U.S. market. But after visiting more and more U.S. resorts, we realized that the U.S. traveler demands even more service, more space, more comfort and more value for their money. Therefore, in the past three years, we have introduced our new deluxe category of ships. These are yacht-like boats, but still only for a maximum of 38 clients. They offer the best of both worlds: luxury and comfort, as well as more personalized service. 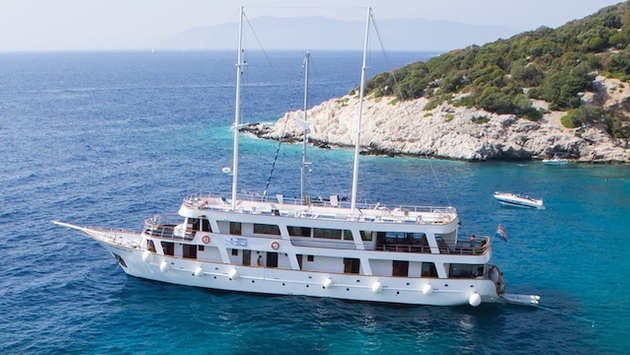 Additionally, Katarina Line created a special deluxe route and a program that includes daily excursions, dinners, transfers, a cruise director and many additional perks. In this way, our clients get the full experience of Croatia, and agents get generous commissions on all of the above. What kind of outreach are you doing? About 95 percent of our bookings come from our partners – tour operators and travel agents from all over the world. To reach the U.S. and Canadian markets, we have increased our presence every year at tradeshows and workshops throughout North America. We have already been to over 30 shows and workshops this year, with at least five more planned before December. We are exhibiting again at all these events in 2017. Our representatives are extending their stays in the U.S. to do additional staff training for our partner agents, and even special presentations to groups of clients who are planning their trips to Croatia. Katarina Line also offers at least four free fam trips every season. How would a U.S. travel agent sell Katarina Line's cruises? As I mentioned earlier, we recommend our deluxe programs as the core of their Croatia cruise offerings. But, depending on their clients’ interests and preferences, other categories of our ships can also be offered. Agents can also recommend our cruises as an add-on to a larger European trip. For example, after visiting some of the major cities of Europe, U.S. clients can [opt for] a relaxing cruise on the Adriatic Sea. Many young Americans tend to do their European trips in their twenties. For them, our B-category party cruises are a perfect fit after seeing all the wonders of Rome or Paris. Agents can offer our cruises as an alternative to popular river cruises. Whereas river cruises travel only on straight rivers with over 100 clients on board, our deluxe ships sail from island to island, looking for private bays and spending whole afternoons and nights in the new, small local ports with no more than 38 clients. Agents can work directly with Katarina Line and get their commissions or [work with] U.S. tour operators that [sell our] programs. Group bookings are welcome and are always tailor-made according to group size and preferences. What kind of client would take a Katarina cruise? Our clients are mostly from English-speaking countries like the U.K., Australia and, increasingly, from the U.S., among others. We like to emphasize that the product is suitable for all ages and, with four ship categories and more than 20 itineraries, anyone can easily choose and find a cruise to enjoy. Deluxe ships and A+ ships generally attract couples – from young professionals to more mature travelers. These vessels offer more comfort and the programs are structured in a way that provide a perfect mix of relaxing, sightseeing and exploring – from all aspects of culture, history and gastronomy. Younger guests like our stylish vintage vessels as they provide budget-style accommodations while still visiting all the must-see islands.